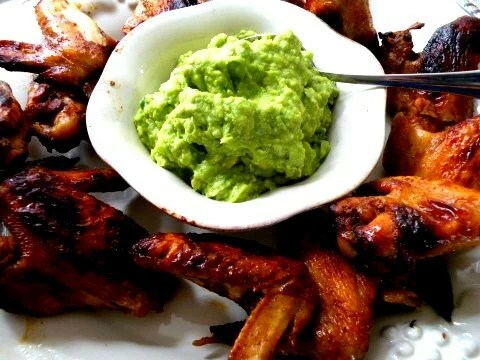 Often I serve these Hot Fajita chicken wings with guacamole along with several appetizers for my holiday parties and dinners. This is one of my three favorites I will be posting for your New Year’s Celebrations. These are my top holiday family favorites that I have been serving for years on my appetizer table. Put these out and watch how quickly they disappear! These bites can be made ahead of time (one of my priorities when choosing any appetizer) and finished up right before guests arrive. Serve these along with my favorite other two appetizers Shrimp Mustard Vinagrette with Snow Peas and Spinach Stuffed Mushrooms. Grab a package of two of these wings, because they will disappear fast! And double the guac for a crowd. In a large plastic bag or bowl combine the first four ingredients. Mix thoroughly. Add the chicken and marinate at least an hour or overnight in the refrigerator. Cover a sheet tray with foil or parchment paper. Place chicken on tray and place in oven. Bake for 15 minutes. Turn and bake for another 15 minutes. (This can be made ahead the day before, refrigerated, and reheated. 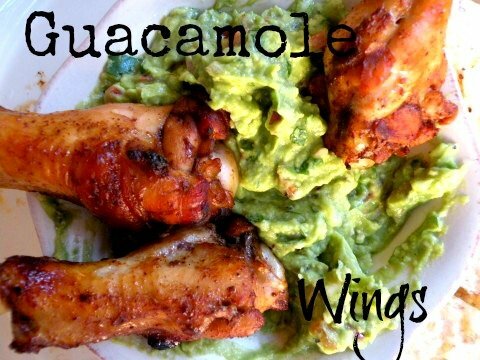 Mash the avocados and place in a medium bowl. Add the rest of the ingredients in the bowl and mix . For a dipping place next to the wings. The wings can be made the day before and reheated. Keep the sauce simple since the wings have so much kick to them. Note: I double the recipe for a crowd.